A new study has revealed that spiders eat an estimated twice as much as humans and even devour more than whales. 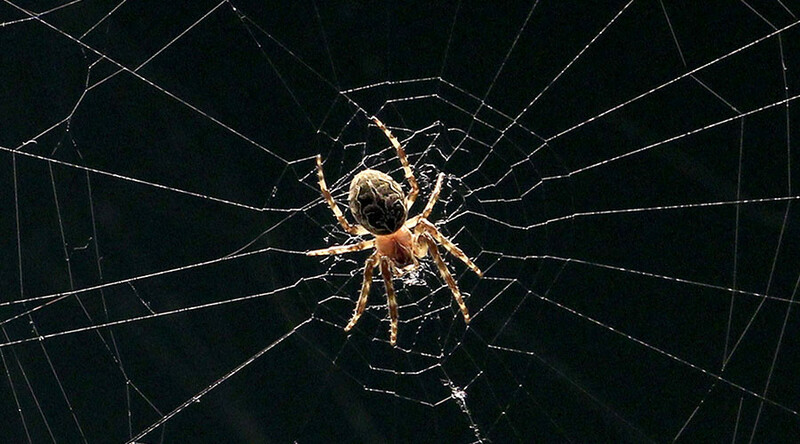 A team of researchers from Switzerland, Sweden and Germany used data from 65 previous studies to come to the conclusion that spiders rank among the world’s deadliest killers. Spiders can devour between 400 and 800 million tons (metric) of prey each year. Combined, every species of spider in the world – roughly 45,000 – weighs about 25 million tons. The study, published in The Science of Nature journal, revealed that the majority of the arachnids’ victims are insects but some of the more frightening creepy crawlies have been known to feast on vertebrates such as lizards, frogs, fish and small mammals. Humans collectively consume an estimated 400 million tons of fish and meat per annum according to a 2014 study by United Nations Food and Agriculture Organisation, while whales chomp down between 280 to 500 million tons of seafood. The world’s total seabird population get through a paltry 70 million tons of seafood compared to their eight-legged counterparts, according to the study. “We hope that these estimates and their significant magnitude raise public awareness and increase the level of appreciation for the important global role of spiders in terrestrial food webs,” said study author Martin Nyffeler. The research was carried out by a team made up from the University of Basel, Switzerland, Lund University, Sweden and the Brandenburg University of Technology Cottbus-Senftenberg in Germany.